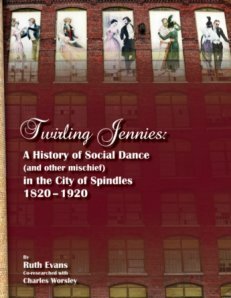 A lavishly-illustrated large-format trade paperback describing the history of social dance in the old mill town of Lowell, Massachusetts -- America's first real industrial city. The author has a website about the project, as well. Cover price is $28.95. The trade paperback is available from Amazon or Barnes & Noble. Because of the elaborate graphics, no ebook edition is planned. The first novel by a talented writer who has previously published only short stories. Love, magic, and a traveling circus! Even the youngest child in the United Lands knew the legend of the Raven Coronet -- the crown of charisma that had united the world under one ruler. But no one believed it still existed. 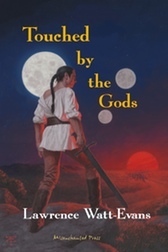 Young Thaedra's difficult childhood becomes an even more trying womanhood when her stepfather marries her off as part of a scheme to obtain the storied artifact. 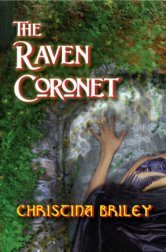 She struggles to find her own path -- but that path seems inextricably tangled with the search for the Raven Coronet. The trade paperback is $18.95. The NookBook edition and Smashwords ebook are also $3.99. The trade paperback is also available from Barnes & Noble or Amazon , and I believe it can be special ordered by traditional outlets -- the ISBN is 978-1619910225. If you want to read it on your iPad, it should be available through iTunes. 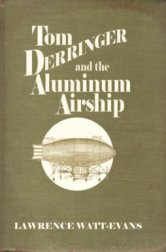 A novel of old-fashioned adventure! 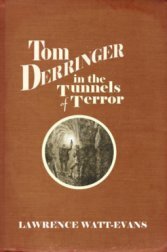 When he was eight years old, Tom Derringer discovered his father's journal and learned that the late Jack Derringer was a professional adventurer. 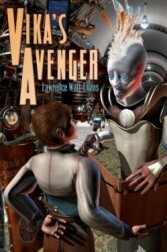 I had set out to write a "young adult" steampunk adventure, but my childhood love of 19th century adventure novels got the better of me, and it turned out not so much punk as pulp. I like it even better that way, but publishers didn't, so it's here at Misenchanted Press. The trade paperback edition is $12.95. The NookBook edition	and Smashwords edition are also $3.99. The trade paperback edition is available from Amazon and Barnes & Noble, and I believe it can be special ordered by traditional outlets -- the ISBN is 978-1619910096. A rack-sized paperback is available from Lulu for $9.95. 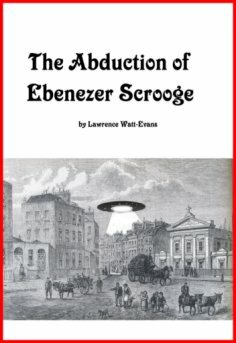 In the skies over Mexico, the would-be conqueror Hezekiah McKee accused Tom Derringer of working for Gabriel Trask's cabal of spies and assassins -- but Tom had never heard of Gabriel Trask. This second volume reunites Tom with Betsy Vanderhart and sends them both out to wild and wooly 1880s California. More books are planned in the series -- stay tuned! The NookBook edition and Smashwords edition are also $3.99. The trade paperback edition is available from Amazon and Barnes & Noble. The ISBN is 978-1619910249. The proud result of a successful Kickstarter campaign, this science-fantasy adventure is set 12,000 years in the future, on a planet far, far away. A country boy named Tulzik Ambroz tracks the man who killed his sister Vika, following him across the poisonous crater that is all that remains of the planet's starport, into the great city of Ragbaan. Ragbaan - site of the planet's original settlement, heart of a civilization that has repeatedly risen to astonishing heights of power and technological prowess, only to fall, every time, back into barbarism. How can Tulzik find his quarry in an anarchic city of three million souls, where the technology of the ancients is considered magic? The trade paperback lists for $14.95. A limited-edition hardcover is available (for now) for $45.00. The NookBook edition also lists for $4.99. The trade paperback ISBN is 978-1619910065, it's also available from Barnes & Noble or Amazon , and I believe it can be special ordered by brick-and-mortar bookstores. This 2011 novel straddles the line between urban fantasy and horror. Greg can see the monsters, he can't affect them -- but he's determined to stop this one somehow! The trade paperback lists for $14.98. The Kindle edition lists for $3.99. The trade paperback ISBN is 978-1466291539, and is available from Amazon and Barnes & Noble, or it can be special ordered by traditional outlets. 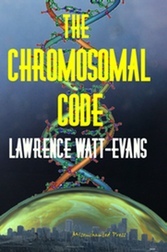 This is a revised and expanded edition of a novel originally published in 1995 by Tor Books. Interstellar flight has been outlawed -- the great warpships that traveled between systems were found to be damaging the very fabric of the universe. Isolated by the ban, the Draconian system has become decadent, strange -- and foul. Dominated by corporate guilds called "bods," Draconian society has built its economy on slavery and assassination. A former assassin, Magen, has rebelled. When her husband is taken by slavers, she sets out to do whatever it takes to get him back -- even if it means destroying the entire Draconian civilization! The trade paperback lists for $18.95. The Kindle edition lists for $2.99. The NookBook edition is also $2.99. The trade paperback ISBN is 978-1619910232. It's available from Amazon and Barnes & Noble. Originally published in 1992 by Tor Books. Art Dunham had worked in his father's small-town theater all his life, and had never before seen anything like the group that rented it one summer. The Bringers of Wonder, as they called themselves, wanted to put on a single performance of a play called "The Return of Magic" -- but is it a play, or something more? The trade paperback lists for $9.98. The NookBook edition lists for $2.99. Other ebook formats are available from Smashwords and list for $2.99. The trade paperback ISBN is 978-1619910034, and is available from Amazon and Barnes & Noble. Originally published in 1984 by Avon. A sudden inexplicable ice age has driven Earth's population into the tropics, except for a few die-hards eking out a tenuous existence scavenging the snow-covered ruins of civilization. One such straggler is John Starkman, making his home in the frozen wastes of western Pennsylvania. Already an outcast because of a certain physical peculiarity, he saw no reason to join his neighbors in fleeing south. Then one day a spaceship comes to collect him and the other stragglers, and Starkman discovers there have been other changes besides the ice age. Aliens have landed on Earth. They say they've come to help -- but what do they really want? And why are they interested in him? This title is presently exclusive to the Kindle as an ebook. The trade paperback ISBN is 978-1619910041, and is also available from Amazon and Barnes & Noble. Originally published in 1997 by Tor Books. The gods had chosen the Domdur to rule the world, and had chosen Malledd to be their champion among the Domdur. They had not asked Malledd whether he wanted the job. Now a wizard has raised an army of the undead to overthrow the Domdur Empire, and the world awaits the divine champion who is to save them -- but will Malledd come? And if he does, can he be the savior the Domdur expect, or has the gods' favor turned elsewhere? The Kindle edition lists for $5.99. The NookBook edition lists for $5.99. Other ebook formats are available from Smashwords for $5.99. The trade paperback ISBN is 978-1619910003, and it's available from Amazon and Barnes & Noble. 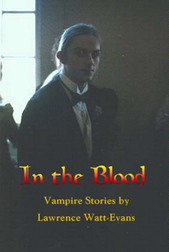 A collection of all the short vampire stories published by Lawrence Watt-Evans to date, a dozen in all, from sources obvious and obscure. From children's stories to adult tales, from silly humor to the genuinely creepy, this is about as varied a collection of vampire stories as one could ask for. Other ebook editions are available from Kobo for the same price. The trade paperback ISBN is 978-1466266773, and it's available from Amazon , Barnes & Noble, the Book Depository, and Lulu. Includes: "The Name of Fear," "The Art of Dying," "Eye of the Beholder," "I Was A Bestselling Teenage Werewolf," "Blood Feud," "George Pinkerton and the Bloodsucking Fiend of Brokentree Swamp," "Richie," "Worthy of His Hire," "The Pimp," "Efficiency," "The Note Beside the Body," and "The Pick-Up." 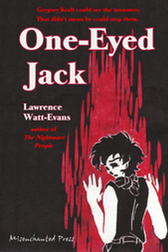 A collection of 21 of the most twisted and poisonous short stories from the archives of Lawrence Watt-Evans. Nineteen are reprints; two are new for this volume. None have been included in any of the author's previous collections. The trade paperback lists for $12.95. The NookBook edition also lists for $2.99. The trade paperback ISBN is 978-1619910195, and it's available from Amazon or Barnes & Noble for $12.95. 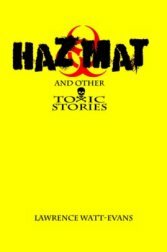 Includes: "Hazmat" (new! ), "The Worst Part," "Playing for Keeps," "Back to the Land,"	"For Value Received," "The Cat Came Back," "Dead Babies," "Upstairs," "Parade," "A Public Hanging," "Hell for Leather," "The Great Ritual," "Beneath the Tarmac," "What the Cat Dragged In," "Dead Things Don't Move," "When Hell Froze Over," "Grandpa's Head," "Jim Tuckerman's Angel," "Impostor Syndrome,"	"Stab," and "Slash" (new!). 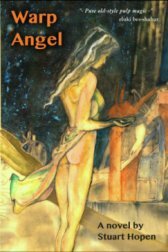 In the summer of 2011 I received a few e-mail queries about where certain of my short stories could be found, and I realized that I could make pretty much any short story of mine available as an e-book. I quickly whipped up covers for the requested titles, and here they are. 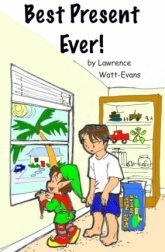 In most cases, each story is 99 cents and available from Amazon for the Kindle, and from Barnes & Noble as a NookBook. If you want another format for any of these, or for that matter, if there's another story you'd like made available, e-mail me, and I'll take it under consideration. Yes, a disproportionate number of those are horror, because that's what I was asked for. Two thieves think they've found easy prey when they discover a houseful of valuable antiques. All they need to do is kill the owner -- and make sure she stays dead. When the townspeople hauled the wizard off to be hanged, they left his creation living in the walls of his home. In a future where personal neurochemistry is carefully controlled two entrepreneurs reintroduce wild romance, only to find their new fad has results they didn't anticipate. Five office workers on their lunch break find themselves caught up in a mysterious parade through the city streets. A businessman remembers the incident that gave him his edge. On a distant planet, a traditional priest learns that the visiting Earthmen have cast doubts on his faith's teachings. A young man in West Virginia discovers that strange things happen at the local burger joint late at night. Another incident at Harry's All-Night Hamburgers. A man goes in search of the angels he knows must be somewhere in the world. This story was our Christmas card for 2011. This story was our Christmas card for 2015. 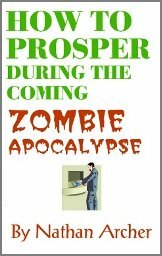 Plenty of people have offered advice on surviving a plague of flesh-eating zombies, but Nathan Archer (author of Mars Attacks! Martian Deathtrap and Predator: Concrete Jungle) provides suggestions for how you can not just survive, but get rich in the process. For a mere 99 cents, you can download almost 6,000 words of bad financial advice to help you flourish when the hungry dead walk the earth! E-book only. 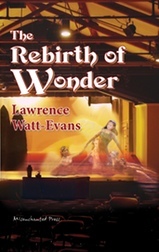 Available from Amazon's Kindle store , as a Barnes & Noble NookBook, from Smashwords, and through other e-book outlets. This was written specifically to test the e-book waters, and has never been published in any other form or as part of a larger work. Printed with the cooperation of Wildside Press when their edition was delayed and I needed copies to send to the fine folks who had supported the serial version of the story, this trade paperback was the first edition of this Ethshar novel. Only four hundred copies were printed -- which turned out to be more than I needed, and I still have a few left for sale, at $25.00 apiece, shipping included. Every copy comes with an inserted 8.5" x 11" map of the Vondish Empire. These are available online only from me!